I've been obsessed with chalkboard paint ever since I knew such a thing existed. Why? Why not? It's awesome-you can make anything into a chalkboard. 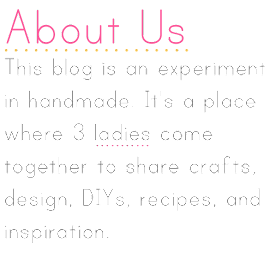 A canvas that you can use and reuse on a daily basis, what's not amazing about that? So when I learned that there was a chalkboard paint you could use on ceramic, I knew I had to try it. First find a mug you want to use. You can easily go to a thrift store and find blank mugs, but seeing as how I work for a company that prints mugs and therefore has an excessive amount of waste in that area, I could not justify actually buying a mug. So I took one of these reject mugs and decided I would paint over the existing graphic. Tape off the area you want to paint. I used regular old blue painter's tape and it worked just fine. Taping off the mug will allow you to have clean lines, but by all means, you do not have to do this. Use a thick bristle brush and paint the area you want painted. I suggest laying it on kind of thick, like more thick than you're probably comfortable with. It works better to do it this way and then you wont have to do multiple coats (but if you need to do more than one coat, allow each coat to thoroughly dry before painting the next one). If you mess up you can easily wipe off what you don't want with a wet cloth or paper towel. 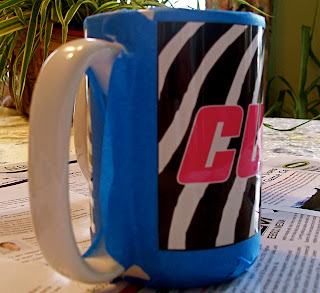 After you're finished painting, peel off the tape. I suggest doing this right away, I waited with one and it ended up peeling off some of the paint as well. Allow your mug to dry for 24 hours. Then bake it at 300 degrees for 35 minutes. It is important that you put the mug in as the oven preheats, then let it sit in the oven as it cools back down. This decreases the risk of the mug breaking. 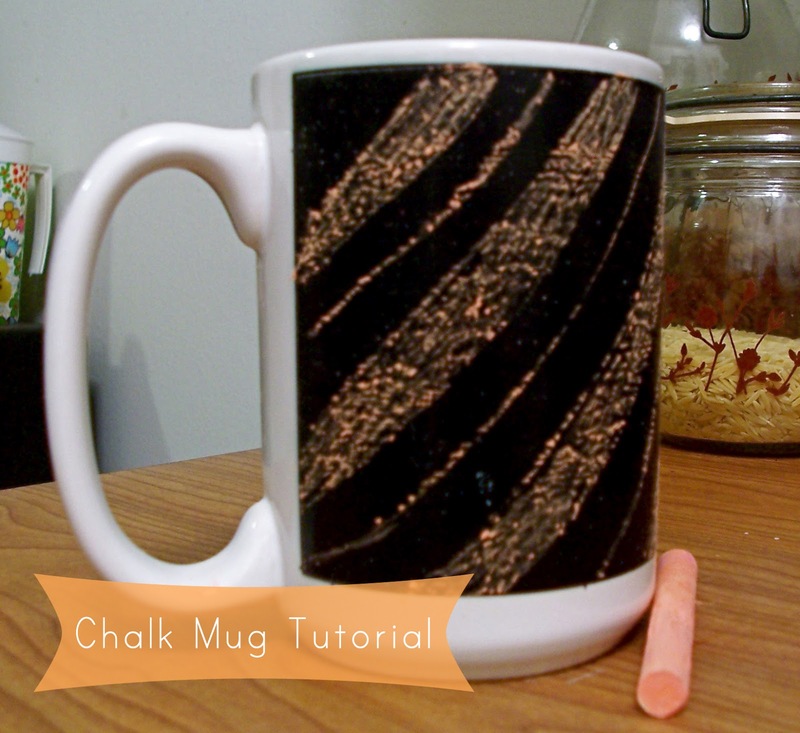 Once your mug has cooled, slate the chalkboard area. This simply means, lightly run chalk over the entire surface and then gently wipe away. Now your mug is ready to draw on! Have at it! Super fun, right? And bonus, once it's baked it is dishwasher and microwave safe, even better. Chalkboard paint looks so neat. I've always wondered how to use it.